While many of us enjoy decorating for the holidays, almost all of us can agree it is not as near as much fun taking it all down, packing it up and putting everything away. The following tips come from various organizational experts and are sure to help you clean up and store your holiday decorations so they are easy to find and display next year. 1. Purge what you have. Before you pack everything up, go through what you have. It’s OK to get rid of things you really don’t like or items that no longer match your decorating theme. Get rid of things that are broken, strands of lights that are burnt out and things you don’t use anymore. Be sure to recycle what you can and donate usable items to charity. Consider decorations of sentimental value. You might not be able to part with a particular item no matter what, but if something is in pretty bad shape but you continue to keep it because it reminds you of something special, maybe snapping a photo will be enough to preserve that special memory. 2. Gather and take inventory. Before you can organize and store your holiday decorations you have to know what you are going to keep. Collect all holiday decorations and related items in one place. Group similar items. Take inventory. How many boxes of ornaments do you have? How many wreaths? Does each child have his or her own stocking? Count everything you have and be aware of sizes, especially anything oversized or oddly shaped. 3. Keep track of what you have. It is not a bad idea to keep track of new holiday items you buy throughout the year whether you find a deal on wrapping paper at a clearance sale or find something special at a craft show you attend in July. One way to do this is to keep a small notebook in an easy-to-find place such as in a drawer in the office or on the top shelf of a kitchen cabinet. Record anything you buy that will be part of the coming year’s décor and holiday festivities. Furthermore, you could do this with other Christmas and holiday related items such as keeping a record of gifts you’ve already purchased, recipes that friends have shared with you, or the dates when your cousins plan to be in town to celebrate the holidays with you. 4. Select a storage space – Look around your home. Select a storage space that is big enough to hold ALL of your holiday decorations and other Christmas related items safely without being in the way all year long. (ALL means everything from gift wrap and cookie cutters to lights and the artificial tree.) This could be a space in the attic, a storage closet, a corner of the basement, etc. 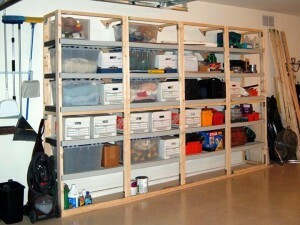 Measure the storage space and purchase containers that will fit in the given space. If you have a limited storage space, this may help determine what items you purge in Step 1. 5. Label everything – Make an effort to label every box and storage container with the exact contents inside. The labels don’t have to be fancy. Simply write on the outside of the box or tape an index card to each box listing what is inside. You can even color code them if you choose. Labeling will make decorating a lot easier next year. 6. 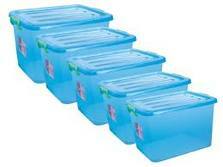 Store it together – Move all boxes, storage containers, etc. into the storage space you selected. Safely arrange the boxes so they will not fall. Whenever possible, stack your storage containers with their labels facing forward or up so you can quickly identify what is inside each box next year. Keep everything together in one place whenever possible. This makes it easier to get your decorations out next year. There is an exception here. Make note of special items such as highly breakable pieces, linens or antiques. These may need to be stored in a temperature-controlled environment within the main living areas of the home. Keep track of these types of items in your notebook from Step 3 since you won’t be storing them with everything else. Though cleaning and packing up after the holidays is not much fun, and sometimes a lengthy process, these home storage tips for your holiday décor will help cut down the amount of time you spend putting things away and make decorating a little easier next year.